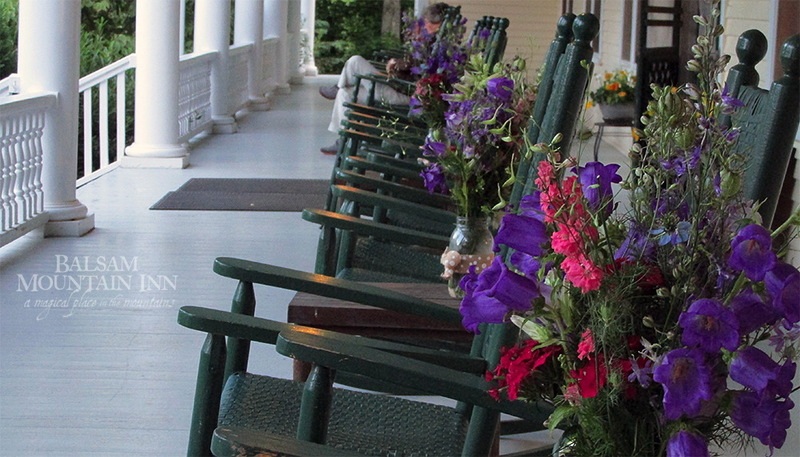 Though Grand Old Lady Hotel originally opened in 1908, this historic hotel remains popular today due to its 100-foot porches, spectacular views and hearty, abundant cuisine. Known as the "Grand Old Lady of Balsam," the Inn is listed on the National Register of Historic Places and is one of the few buildings of its kind left in North Carolina. A popular location for breakfast and dinner, along with Sunday lunches, dining at Balsam Mountain Inn is truly an experience that will take you back in time. For an authentic experience, grab a seat in their beautifully bright sunroom and order menu favorites such as the Trout Roulade, which includes Sunburst Trout with house crab stuffing and Hollandaise sauce, rack of lamb or duck. The well-rounded menus emphasize hearty regional cuisine.